Combining the ancient Indian spiritual tradition of Vedanta with modern principles of psychology and neuroscience, an acclaimed teacher offers new tools for harnessing and increasing our life energy to enhance every aspect of our lives. This book explores the fundamental concept of prana, or "life energy," from the perspective of the ancient Indian spiritual tradition of Vedanta. As the ancient sages described it, this fundamental force is what gives us life and keeps us alive. It's physical, creative, mental, emotional, and sexual energy, it's the "get up and go," it's physical vitality as well as star power and mojo. Since ancient times, it's been known that harnessing this fundamental energy of life itself is the key to thriving. In this book, Rajshree Patel explores what this energy is, how to enhance it, and how it gets drained (spoiler: the biggest energy hog of all is your own mind!). The book market is saturated with guides to living a better life using techniques such as mindfulness, stress reduction, and emotional intelligence--but many of these titles draw on the same studies and offer the same tips and tools. 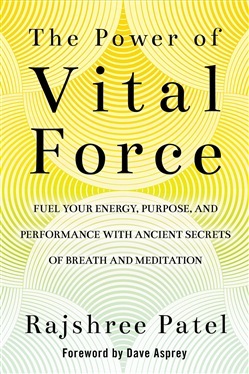 This book offers a much-needed new approach to managing our mind, regulating our emotions, and increasing vital energy. In these pages we find a fresh set of tools drawn from some of the world's most ancient wisdom to help us harness the power of pure energy. Patel, a senior teacher with the Art of Living Foundation--the largest organization in the world dedicated to teaching spiritual wisdom and practice in the Vedic tradition--shares easy, accessible techniques ranging from breathwork to nutrition to a cold-water foot bath that instantly shifts energy flow, all designed to reset and rejuvenate our systems for maximum life force. Ultimately, the less energy we have, the less we are alive; the more energy we have, the more we thrive--in whatever we are doing, in every part of our lives. 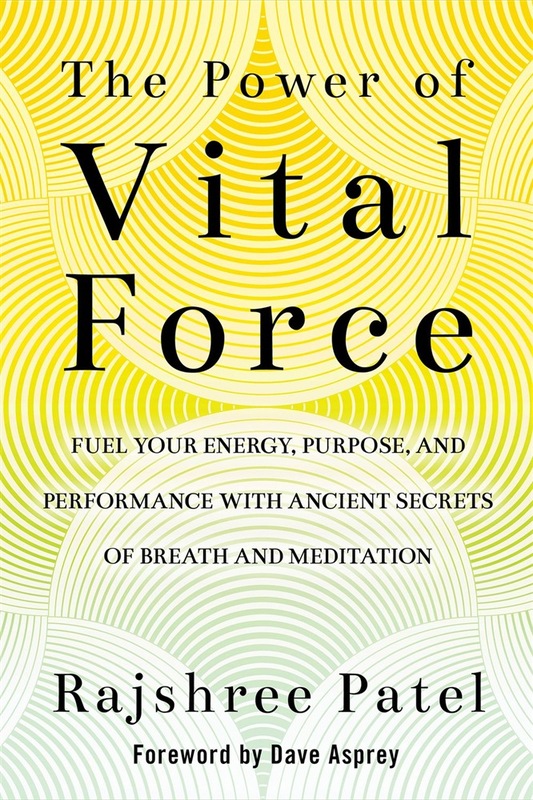 Vital Force combines ancient wisdom with the principles of psychology, self-help, and business, offering a fresh approach to happiness and success. Acquista Vital Force in Epub: dopo aver letto l’ebook Vital Force di Rajshree Patel ti invitiamo a lasciarci una Recensione qui sotto: sarà utile agli utenti che non abbiano ancora letto questo libro e che vogliano avere delle opinioni altrui. L’opinione su di un libro è molto soggettiva e per questo leggere eventuali recensioni negative non ci dovrà frenare dall’acquisto, anzi dovrà spingerci ad acquistare il libro in fretta per poter dire la nostra ed eventualmente smentire quanto commentato da altri, contribuendo ad arricchire più possibile i commenti e dare sempre più spunti di confronto al pubblico online.